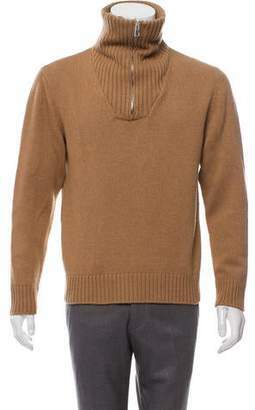 Known as a leather specialist since 1846, the Spanish label was all about craftsmanship. 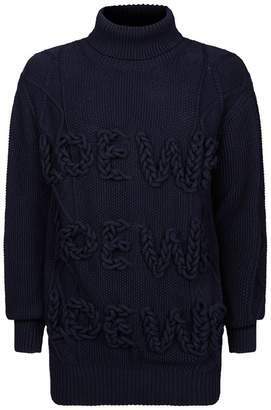 Now under the orchestration of the Northern Irish design Jonathan Anderson, Loewe has become more eclectic and contemporary than ever. 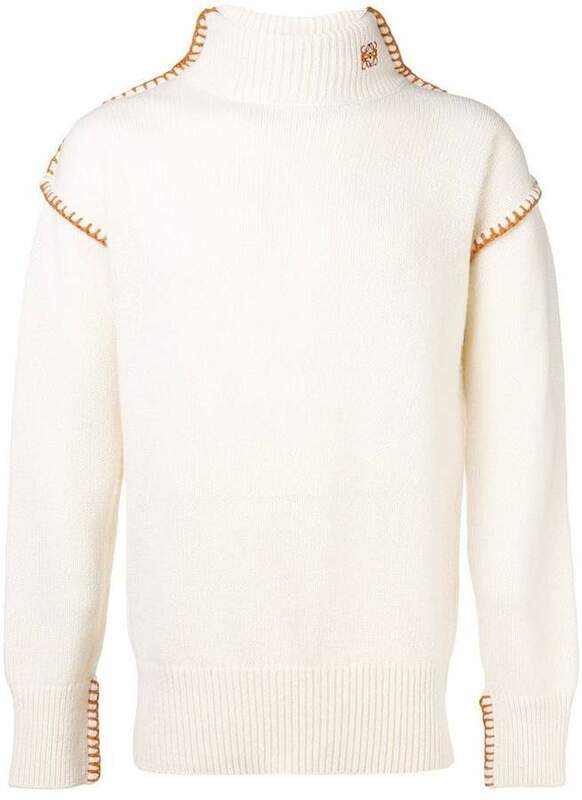 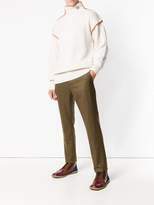 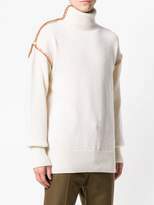 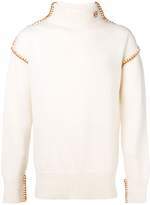 In an appealing off-white colour, this wool Blanket Stitch turtleneck sweater from Loewe is quite the luxurious addition to your cold-weather wardrobe. 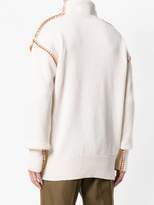 Its long sleeves and ribbed trimming will keep you warm, the relaxed fit allows for comfortable layering, all the while adorned with designer touches like an embroidered logo on the collar and contrasting blanket stitching.